The instrument cluster units in the BMW E38, E39 and X5 models from 1994-2003 are quite similar - (they were all produced by Siemens VDO) - using the same LCD and the same ribbon cable at all models. 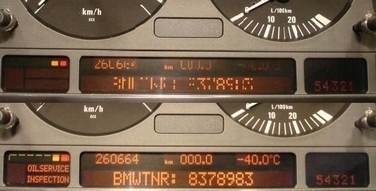 There are minor differences, like diesel or petrol powered ones, and also some speedos come with miles others with km/hrs, however the OBC LCD display and the ribbon cable is the same at all 5 series (E39) 7 series (E38) and X5 (E53) and M5 models. LCD display with SILVER ribbon cable for BMW speedometer - E38 E39 M5 X5. IMPORTANT: needle removal tool is NOT included!You can buy it separately! Fits all BMW E38 / E39 / E53 (5, 7 series and X5) instrument cluster. Essential for dead or fading pixel repairs. Fits all BMW E38 / E39 / E53 instrument clusters - LCD background light. NOTE: there are 3 bulbs included in this price. Give a much newer look to your BMW with the facelift chrome rings. These chrome rings fit to BMW 5 series (E39), 7 series (E38), and X5 (E53) from 1994-2003. Easy to apply ring set, no special tools needed. NOTE: all 4 rings are included in this price. 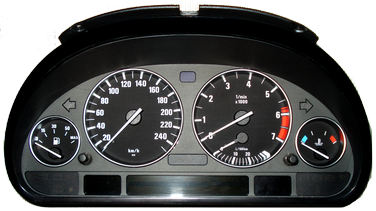 Aluminium / facelift rings for BMW E38 / E39 / E53 (5, 7 series and X5) instrument cluster / speedometer. If you'd like to send your unit to us for a repair, please choose our repair service option above! EU: You can send your unit via post or courier service - both are fine. Outside EU: We only accept speedometers sent with courier service (FEDEX, DHL, TNT, DPD, etc.)! If you choose this option you need to pay 40 EUR more when we send your package back. Please declare the value of the package to 20 Euro! USA: We only accept speedometers sent with courier service (FEDEX, DHL, TNT, DPD, etc.)! If you choose this option you need to pay 40 EUR more when we send your package back. Please declare the value of the package to 20 Euro! Please make a note on the package: faulty speedometer sent for repair, will be returned after repair. We do the repairs within 3 business days. Please send us your phone number and shipping address with the package. 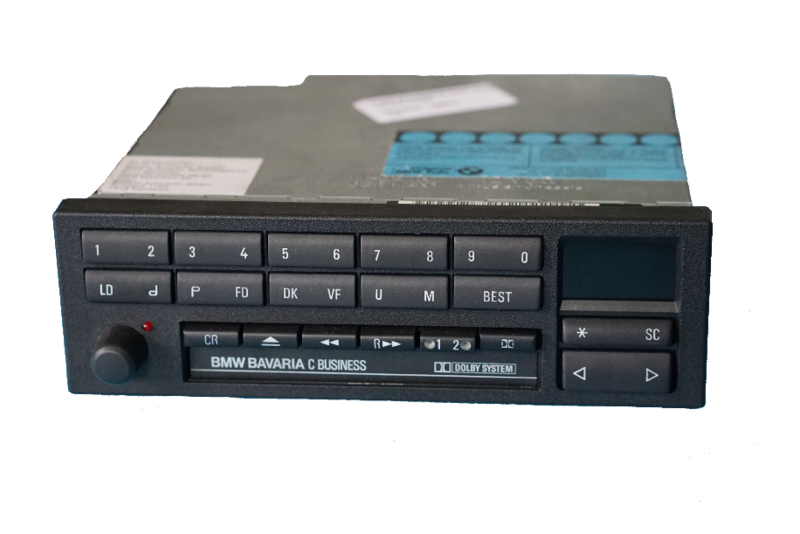 The OBC unit on the MID console - also known as radio / telephone unit on BMW E39, X5, M5 models from 1996-2003 are identical, using the same OBC LCD and the same ribbon cable. There are minor differences, like one comes with telephone button, others are witout, however the LCD display and the ribbon cable is the same at all 5 series (E39) X5 (E53) and M5 models. Fits all BMW E39 / E53 (5 series and X5) MID units. This is also called as radio / telephone OBC unit. Essential for dead or fading pixel repairs. Fits all E39 / E53 MID units assembled with bulbs (not leds). If you have uneven background light on the MID unit (some parts of the LCD are lighter, some are darker), most probably you have dead or almost dead bulbs. Outside EU: We only accept MID units sent with courier service (FEDEX, DHL, TNT, DPD, etc.)! If you choose this option you need to pay 40 EUR more when we send your package back. Please declare the value of the package to 20 Euro! USA: We only accept MID units sent with courier service (FEDEX, DHL, TNT, DPD, etc.)! If you choose this option you need to pay 40 EUR more when we send your package back. Please declare the value of the package to 20 Euro! Please make a note on the package: faulty MID units sent for repair, will be returned after repair. The OBC unit on the MID console - also known as radio / telephone unit on BMW E38 from 1994-2003 have the very common fading or missing pixels, lines, columns. Fits all BMW E38 (7 series) MID units. This is also called as radio / telephone OBC unit. Essential for dead or fading pixel repairs. Fits all E38 MID units assembled with bulbs (not leds). If you have uneven background light on the MID unit, most probably you have dead or almost dead bulbs. NOTE: there are 12 bulbs included in this price. The climate control unit LCD dsiplay on the MID console on BMW E38 from 1994-2003 have the very common fading or missing pixels, lines, columns. Fits all BMW E38 7 series A/C (air conditioning) climate control units assembled with 2 small LCD's - just like the one on the picture. Essential for dead or fading pixel repairs. BMW 8 series (E31), from1988-1999 all have the common disappearing/fading pixels on the on board computer LCD. The problem lies with the ribbon cable that connects the LCD display to the circuit board of the MID. Fits all BMW E31 8 series MID units - essential for fading / dead pixel restoration. NOTE: there are 3 bulbs included in this price. Optional for pixel failure repairs. The dashboard instrument cluster in several BMW E34 models came with digital mileage display - both at diesel and petrol powered models. Fits all BMW E34 instrument clusters. Fits all BMW E34 instrument clusters assembled with LCD (with the one on the picture). Essential for dead or fading pixel repairs. BMW 3 series (E36), from1988-1999 all have the common disappearing / fading or completely dead LCD pixels on the board computer display. The problem lies with the ribbon cable that connects the LCD display to the circuit board of the MID. All 3 variants (8 / 11 / 16 buttons) are available. Fits all BMW E36 3 series MID units, including 8 / 11 / 16 buttons variants - essential for fading / dead pixel restoration. This is a very common failure at BMW E90, E91, E92 BMW CD73 stereo / radio / head units, that the central display has missing lines and columns, missing and fading pixels all around the LCD display. Most common at BMW 3 series E90, but E91 E92 and other models are also affected. 320, 325, 328, 330, M3 318xi, 318i, 318cic, 318ci, 320, 320i, 320cic, 320ci, 323, 323cic, 323i, 323ic, 328xi, 328i, 328ci, 328cic, 330, 330i, 330xi, 330ci, 330cic M3 coupe, sedan & convertible. This is a repair KIT for BMW E39 5 M5 X5 E53 E38 7 SERIES NAVIGATION WIDE SCREEN SAT NAV SATELLITE 16:9. 2x brand new high quality Pixelfix brand cable (you get what you see on the picture). the repair kit will help if your flexible cable that connects the main board to the screen is broken. Most cases the problem is intermittent - the display has poor colors that come back to normal operation time to time. If your display is leaking, suffers from pixel issues (one or more pixels, or complete lines are missing), or completely dead, then this KIT will NOT help, this case please do not buy it! This is a very common failure at BMW Bavaria radio units, that the display has missing lines and columns, missing and fading pixels all around the LCD display. Why do the BMW speedometer LCD displays fail with pixel failure? DIY Pixel repair helps with pixel failure? Well the BMW speedo manufacturers have a few minurtes only to produce a complete BMW speedo with LCD dispay and silver. Because of this, VDO Instrument Cluster manufacturer decied to assemble the BMW LCD display and the silver ribbon cable with heat bonding procedure. This BMW speedometer assembly design makes the contacts of the LCD display and the ribbon cable loose contact very fast, most cases in just a few years. This means, the BMW LCD display show pixel failures, it needs pixel repair, but both the silver ribbon cable and the BMW LCD display work well - only the connection of them is bad, tha is why you have LCD display pixel problems, and you need a pixel fix by a professional, or done DIY with an LCD display pixel repair KIT - a silver cable. How can we improve the quality of the LCD displays and the ribbon cables? Well if you assemble the LCD with the ribbon cable with pressure, no heat bonding, then the pixels of the BMW LCD display will work for an unlimited time. Dashboard LCD displays work on high temperature, so it is the best to avoid using the heat bonding procedure. Pixel repair DIY, or pixel fix by a professional? The LCD display repair ribbon cable KIT is available in silver cable version. Once the BMW dashboard instrument cluster LCD display pixel failure was properly repaired, the BMW speedometer display will work as new, the silver ribbon cable and the LCD will work for good in the speedometer. Is it really a pixel failure or just a dead bulb behind the display? - If the bulbs are out behind the display, then all the rows and colunms do work on the BMW speedometer LCD display, but the background light of the LCD display is uneven, or some cases the BMW LCD display is completely dark. This case no need to repair the pixels, you do not need a silver or carbon ribbon cable, nor a new LCD display. This case you just need to buy the lightbulbs that provide light behind the BMW LCD display. - If the BMW speedometer LCD display has really pixel problems, then typically lines or colunms of the display are missing. Several cases the characters are broken, numbers and letters shown on the speedometer display are unreadable - tha backlight is even. In case of a real pixel problem, when one or more pixels are missing from the display, you need to buy a silver ribbon cable, a carbon ribbon cable, or some cases a complete BMW LCD display. It really depends on that if it is a BMW, a Mercedes, and Audi, Saab or other make, and of course if it a MID display, a speedometer, a board computer or other LCD dipslay. Most cases, when you have a pixel failure, and you decide to repair it, it's really worth to buy a set of bulbs too, as bulbs tend to go out during repair - this is due to the massive mechanical shocks experienced during the pixel repair procedure. Can I do the pixel repair of my BMW speedometer at home? How about tools? Well, most of the BMW pixel repair KITs we sell are designed to be simple and easy to use. The word easy should now be the subject of further discussion. An average BMW speedometer LCD display pixel repair is far more difficult then replacing a lightbulb. You definitely have to have good mechnical skills, and some household tools, such as nippers, screewdrivers, household tape, and other goodies to fix things around the house. - Which way should I turn the screwdriver to undo the screw? - What is a display? - How do I find the LCD thing in my BMW? - How do I glue the LCD into the dashboard? - Is it as easy as replacing a lightbulb? Is it coming from China, or is it a high quality product coming from a proper factory? Well, Pixelfix is an internationally registered trademark. Pixelfix only sells the highest quality BMW speedometer silver ribbon cables, that are capable of lifetime operation. We sell most of our repairs with lifetime warranty, and you will find the exact same displays, cables, and other spare parts that we use for professional repairs. The silver ribbon cables we use for BMW E38 E39 M5 X5 LCD display pixel repair are real silver, which is a very expensive base material, that is why the price is much higher compared to carbon ribbon cables. I ordered a BMW speedometer LCD display pixel repair kit today, when will I receive it? You may keep an eye on your package, if you ordered the BMW LCD dispaly with postal delivery on you may check the status on your local post office's website, or if you ordered next day deliver then you need to see TNT / FedEx or DHL tracking site for status. All BMW LCD displays, ribbon cables, BMW speedometer spare parts bought in the webshop will come with an invoice. All invoices are issued electronically, so you will receive an e-mail with the printable invoice in it. This invoce can be printed and filed to the accounts. No worries, we do provide technical support, and help repairing of your BMW speedometer LCD display. We have been repairing these BMW display units for years, we made hundreds of BMW speedometer repairs, so we can provide tecnical support very effectively - on the phone, via skype, via e-amil or whichever you prefer. Please note that you need to book an appointment, but it is completely free of charge. - the alignment of the silver ribbon cable is no good, so the pads of the silver ribbon cable do not match the pads of the BMW LCD display or panel. Let's talk about the worst case scenario, you started the repair, but you do not seem to deal with the repair of the BMW instrument cluster's display. This case we have a backup solution. We always stand behind our customers, so you may send the BMW speedometer LCD display unit to us for repair, and no matter what the condition of the unit is, we can help. More precisely, up to this point we always succeeded, meaning none of our customers managed to do such a damage in the unit that we could not fix. The repair does not cost a fortune, in a lucky case it is 20-30 Euro plus return delivery cost only.